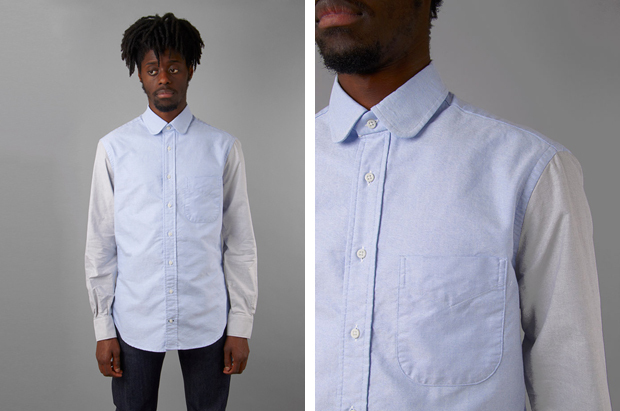 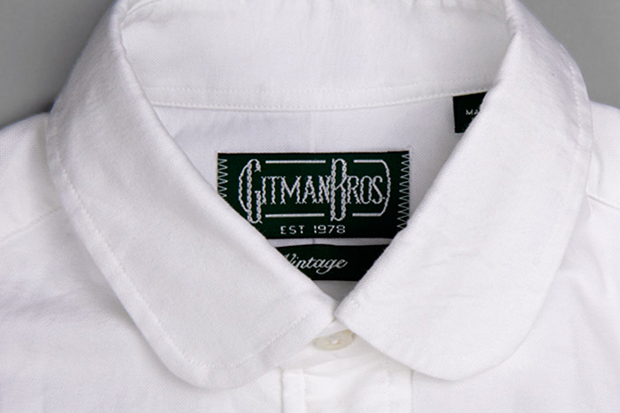 Garbstore team up with Gitman Bros to produce these exclusive Gitman Vintage Club Collar Oxford shirts. 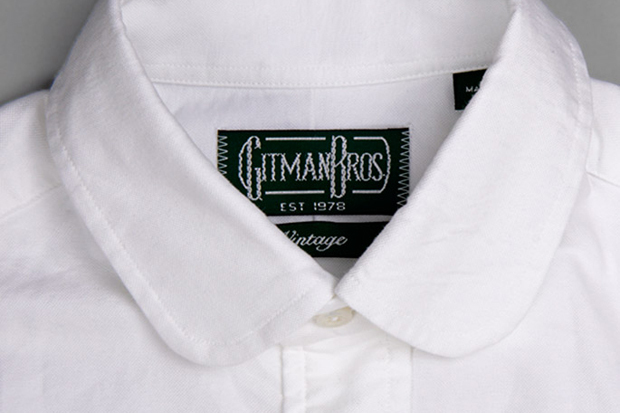 Manufactured to the high quality levels that Gitman Bros are renowned for and crafted out of 100% cotton in the USA, these are top quality. 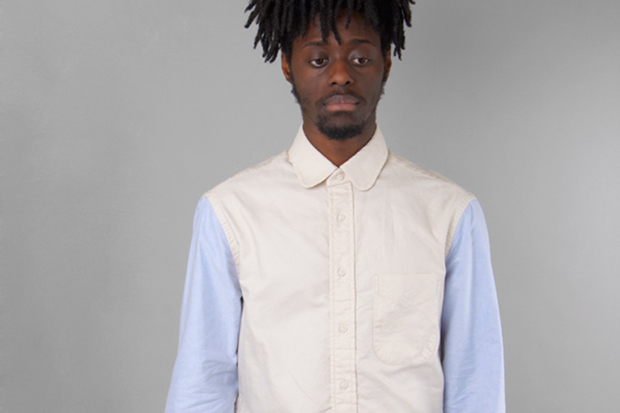 The interesting use of contrasting colours on the sleeves and body make these shirts quite quirky, yet the traditional muted colours of the Oxford cotton keep things calm. 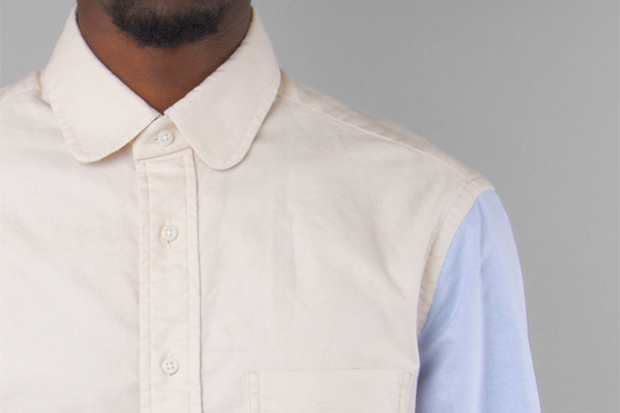 The only shirt that doesn’t feature contrast coloured sleeves is the all-white number, which features a contrast in texture instead. 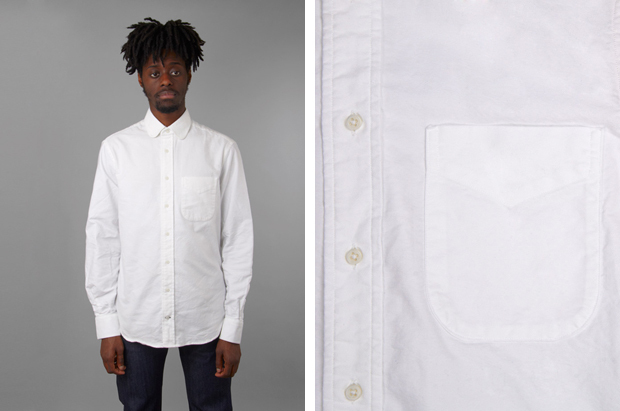 A brushed white cotton body compliments the white cotton sleeves with extreme subtlety. 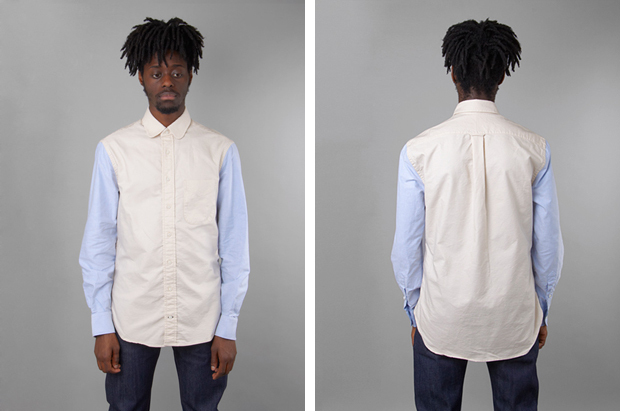 All shirts feature a single open chest pocket and large club collar. 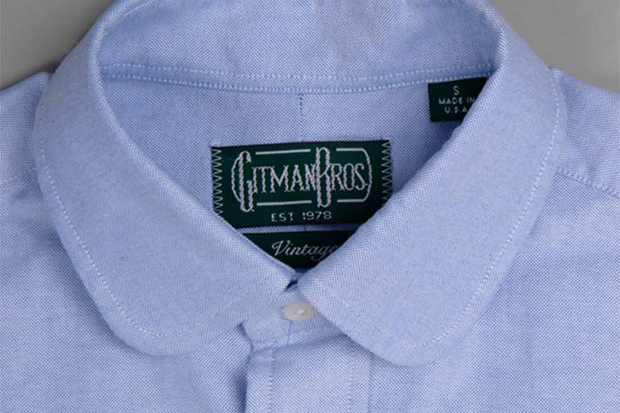 Traditional Gitman Bros vintage branding remains in the inside, as per usual with all Gitman Vintage shirts. You can pick up one of these now exclusively from Garbstore for £125.